After an extensive research, we have personally selected this rare reclaimed rose and ochra colored French clay floor tiles. 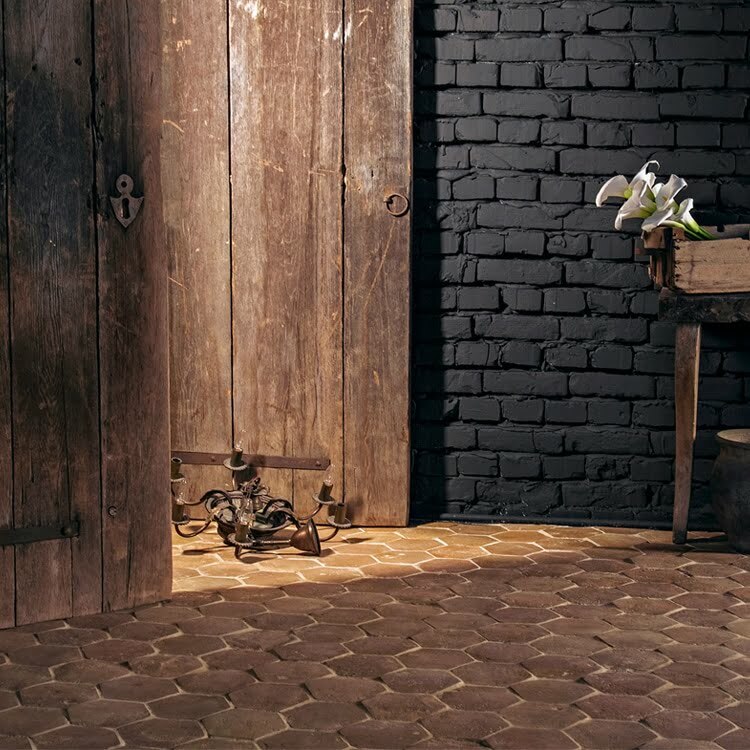 The hues and variation of rose and ochra combined with the antique patina, and their uneven surface make this exquisite flooring so unique and rare. It truly reflects centuries of long history and tradition. These charming typically French clay tiles come in various shapes. Featured are square, rectangular and hexagonal. Installed in many different patterns this refined terra cotta clay flooring brings together the informal French atmosphere. Each individual lot is carefully inspected and painstakingly cleaned by our expert. Each lot of these antique French clay floor tiles vary in size, color and patina. Please contact us regarding our current inventory, custom orders or any additional information.